By the time most people reach old age, they have been immunised or exposed to too many diseases. Nonetheless, they still need immunisations. 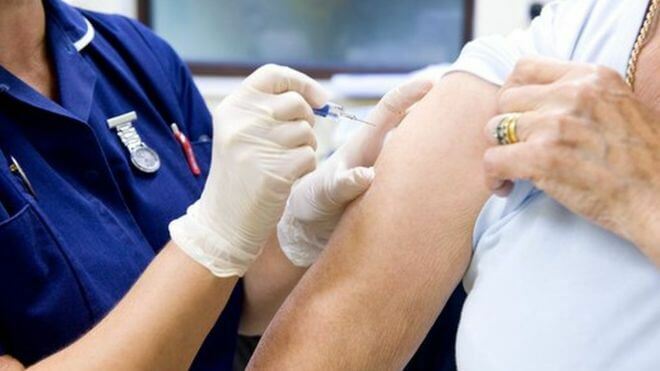 Certain immunisations are indicated only in elderly persons, while others are not recommended for all elderly persons but are available and appropriate for specific patients. The elderly need immunisation for protection against serious infectious diseases, just as children do. Which are the available “adult” vaccines? Influenza is an acute systemic viral infection that primarily affects the respiratory tract; it carries a significant mortality. It is caused by Influenza virus. Spreads quickly across the world by air-borne, droplet or direct contact. Infection is seasonal mainly in the winter season. But these reactions are mostly self limiting. So we do not have to fear much about them. Influenza vaccine represents one of the most important health promotion and disease prevention measures in the elderly population. The strains of influenza keep changing with time and so to protect ourself we need to get vaccinated against the strain that is prevalent during that year. This is the reason why inthe fluenza vaccine has to be given each year. Those with underlying chest ailments like asthma, chronic bronchitis, diabetes, heart disease, cancer or kidney diseases are at high risk. The vaccine should be given intramuscularily every year to all persons above 60 years. The pneumococcus bacteria can cause infections like pneumonia, meningitis and septicemia. Pneumonia usually presents as an acute illness in which features such as fever, rigors, shivering and vomiting predominate. Respiratory symptoms include breathlessness and cough, which at first is characteristically short, painful and dry, but later accompanied by purulent foul smelling sputum. Pneumococcal disease can be prevented by vaccination. Two types of vaccines are available for the prevention of pneumococcal disease in adults, including a plain polysaccharide vaccine, and a newer polysaccharide-protein conjugate vaccine. Pneumococcal disease is quite serious in nature and prevention by vaccination can help save a lot of lives. Vaccination can help prevent pneumococcal disease as well as reduce the spread of the bacteria to the others. Vaccination also reduces antibiotic resistance. Pneumococcal polyvalent immunization should be given at least once to individuals over the age of 50. Nevertheless, some experts recommend a single revaccination. If necessary, revaccination can be done 5 years after first vaccination. In older people injury and accidents are very common. Immunization is recommended for all persons who immunization status is inadequate or unknown. If never vaccinated, administer 2 doses 1-2 months apart, followed by additional booster dose 6-12 months later. If previously immunized, administer booster every 10 years. Contraindicated if neurological or hypersensitivity reaction to the previous dose. Oral or intramuscular vaccine can be given once in 3 years. Orally, four doses may be given in every alternate day or one dose of intramuscular injection. Hepatitis B vaccine is not recommended routinely for all elders. People who are exposed to blood or blood contaminated body fluid or IV drug uses need this vaccine. Once course compriser 3 injections, i.e. first injection on the first day, second injection after one month and third injection after 6 months. Get vaccinated, to preserve your health and your penny too.